The Getty Foundation created the Panel Paintings Initiative to ensure that a sufficient number of well-trained conservators will be able to maintain quality care of panel paintings once the current leaders retire. Grants have concentrated on intensive side-by-side training projects, workshops, and the translation and online publication of a limited number of important historical texts related to the field. —Ed. Jean-Albert Glatigny describes working with his hands as the apogee of life. It’s how he attains his highest sense of fulfillment and purpose. Trained as a cabinetmaker, he has spent decades sanding, hewing, gluing, wrestling, studying, splintering, and grafting wood. 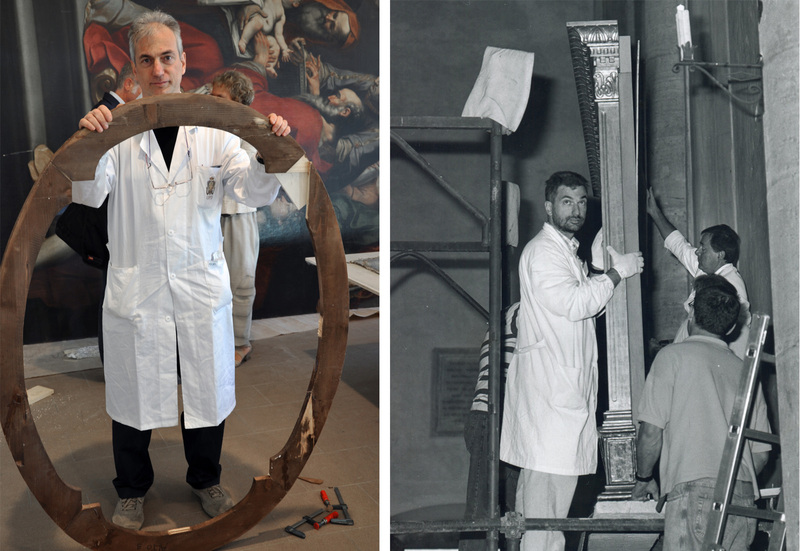 Wood that is constructed to form spectacular altarpieces that hang in European cathedrals. Wood that supports masterful oil and tempera paintings displayed throughout museums worldwide. Wood such as poplar, oak, spruce, walnut, and chestnut. 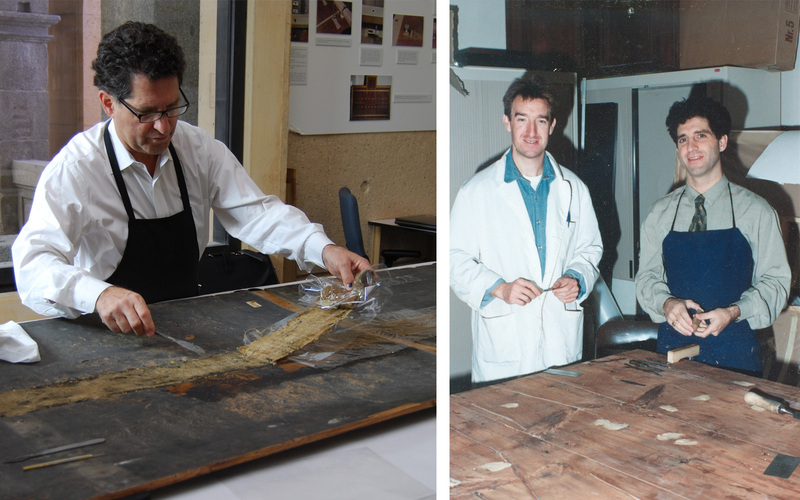 Glatigny, as well as George Bisacca, Ciro Castelli, José de la Fuente, Ray Marchant, Mauro Parri, and Andrea Santacesaria, are among the dozen or so people worldwide considered to be experts in the conservation of panel paintings (paintings on wooden supports). 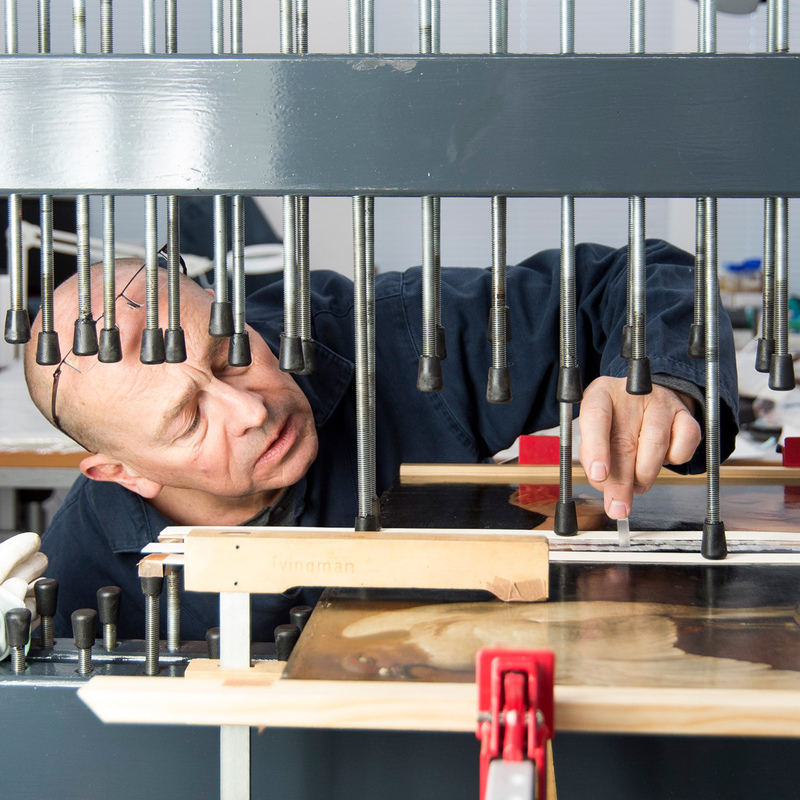 Though some of the world’s most precious artworks are panel paintings, the number of conservators skilled enough to treat them has dwindled, failing to keep pace with conservation needs and the retirement of the most adroit professionals. In 2008, the Getty Foundation launched the Panel Paintings Initiative (PPI) to address the field’s perilous state and ensure the training of a new corps of conservators. The experts mentioned above, as well as Roberto Buda, Salvatore Meccio, and Roberto Saccuman, signed on as trainers. 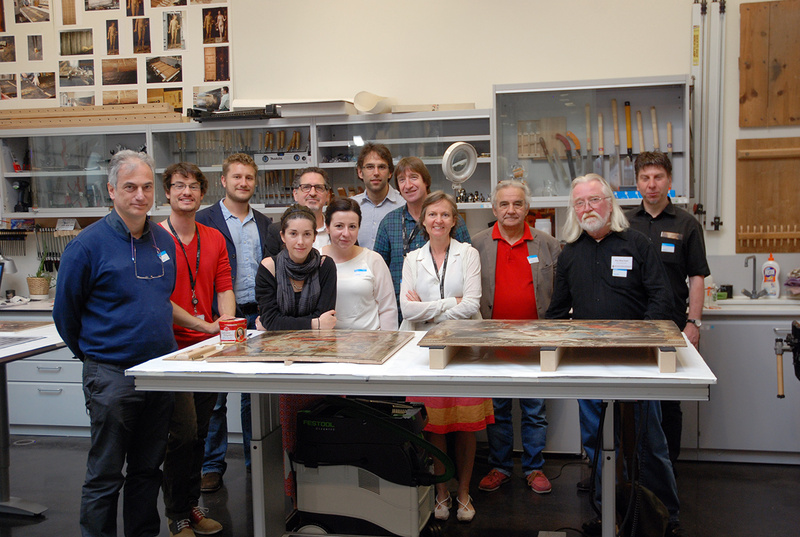 Over the course of six years, these professionals convened to discuss best practices and provide individual and group training to a cohort of early- to mid-career conservators at renowned museums and conservation studios in Spain, England, Germany, Italy, Belgium, the Netherlands, Poland, Austria, and the United States. Younger trainees were able to get first-hand experience in the conservation of European masterpieces by watching and working alongside these experts on challenging treatments. 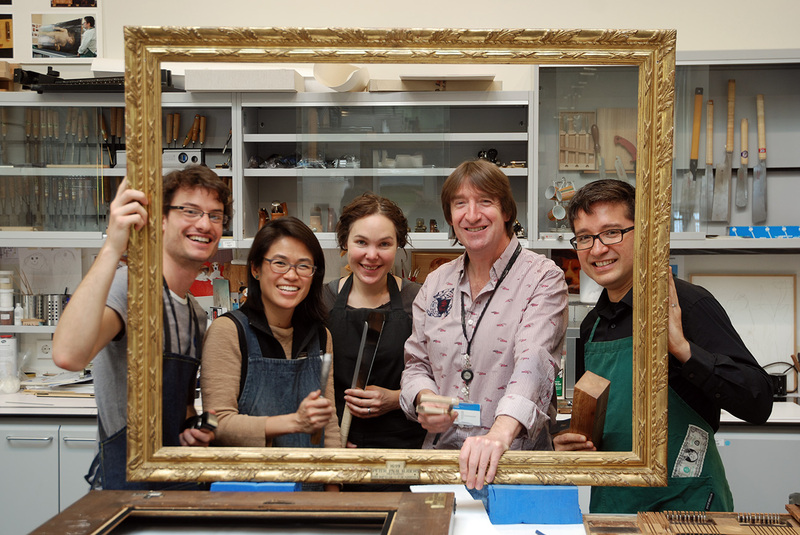 Trainers and trainees at the Prado Museum conservation studio in 2013 for a Panel Paintings Initiative convening. The experts themselves found the new transparency refreshing. “For the first time, we were able to convene, exchange ideas, and collaborate on important restoration work,” says Andrea Santacesaria, an advanced conservator at the Opificio delle Pietre Dure (OPD) restoration laboratory in Florence. Such exchanges mean that woodworking techniques traditionally used in Italy are seeing increased adoption in Belgium, that treatments with historical roots in Madrid are increasingly popular in London, and vice versa. And this knowledge-sharing hasn’t just benefitted trainers and trainees, it has also benefitted artworks. 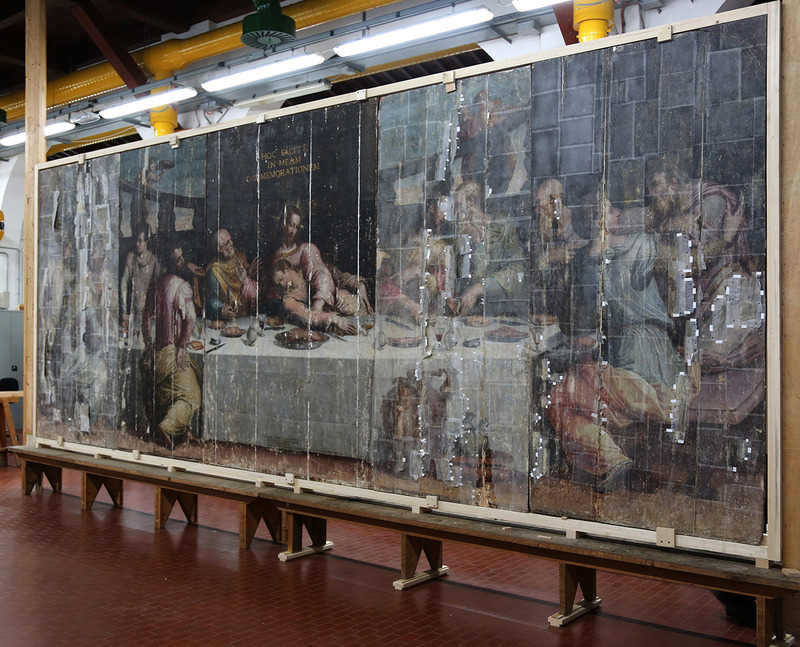 As part of a 2010 effort led by Ciro Castelli, retired conservator at the Opificio delle Pietre Dure, Giorgio Vasari’s monumental panel painting Last Supper (1546) was pulled from storage to finally undergo treatment. It had been severely damaged 50 years earlier in a devastating Florence flood and for half a century had been considered beyond repair. However, contemporary collaboration among conservators, plus advanced technologies and techniques, helped caretakers realize that they finally possessed the expertise to bring the painting back to life. 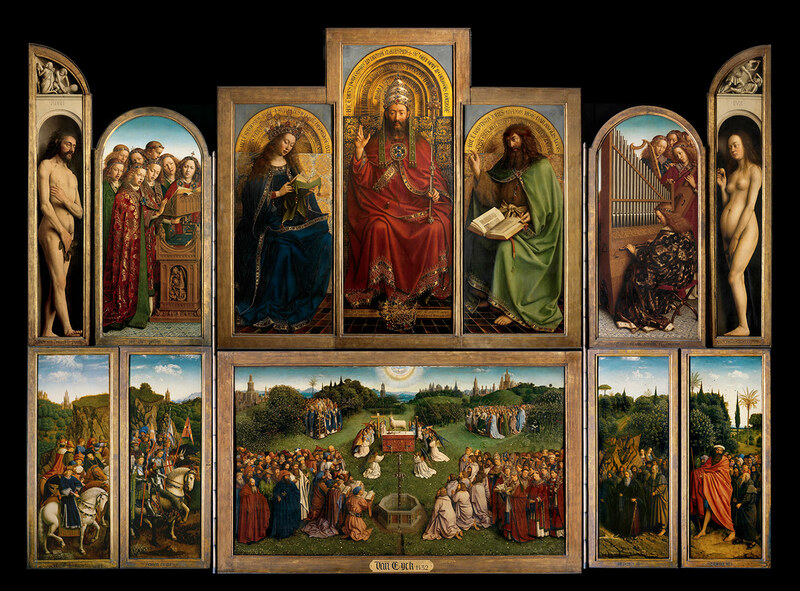 In addition to Last Supper, the Panel Paintings Initiative has allowed for the restoration of some of the most highly visible masterpieces in the history of Western art, including Hubert and Jan van Eyck’s Ghent Altarpiece (1432), Albrecht Dürer’s Adam and Eve (1507), and all nine paintings by Pieter Breughel the Elder at the Kunsthistorisches Museum, including Hunters in the Snow (1565). Because the works being restored were of such significance, these projects served as valuable apprenticeships for trainees who learned necessary hand-skills, aesthetic judgment, and technical methods from seasoned mentors. 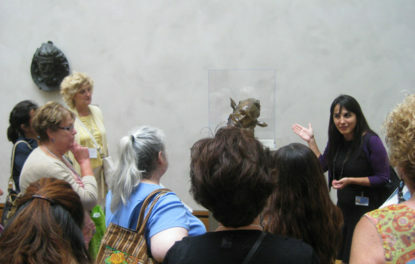 Once the trainee has gained enough foundational experience to advance to more complex operations, Bisacca explains, he or she can gradually be taught a more sophisticated understanding of the subtleties of the art object as a whole, including art-historical, aesthetic, material, theoretical, and ethical considerations. Technical mastery isn’t everything, however. There are soft skills related to panel paintings that must be taught. In that vein, Marchant made sure to cultivate his trainees’ sixth sense—a process he describes as “learning to listen to what the panel is telling you.” Indeed, Marchant is known for his uncanny ability to exert little pressures on (i.e., gently flex) panel paintings to locate areas of structural weakness. Understanding and showing respect for an artwork’s original material is a facet of the larger theory of “minimal intervention” embraced by modern panel painting conservators. This approach has gained traction among conservators who frequently find themselves reversing well-intentioned, but harmful, interventions from decades or even centuries ago. In one example from 2011, the Panel Paintings Initiative supported the conservation of six panels from Peter Paul Rubens’ famous Triumph of the Eucharist (1626) series. The panels had been preserved at the Prado Museum, but past structural interventions—including one where former caretakers had thinned the wood and applied restraints to flatten the panels—had caused cracks, deformations, and uneven surfaces in the wood, seriously threatening Rubens’s virtuoso brushwork. Since the launch of the Panel Paintings Initiative, approximately 25 trainees have advanced their conservation skills, doubling the number of the field’s capable professionals. Left: Trainer Ciro Castelli guides a treatment of Last Supper at the Fortezza de Basso laboratories in Florence. 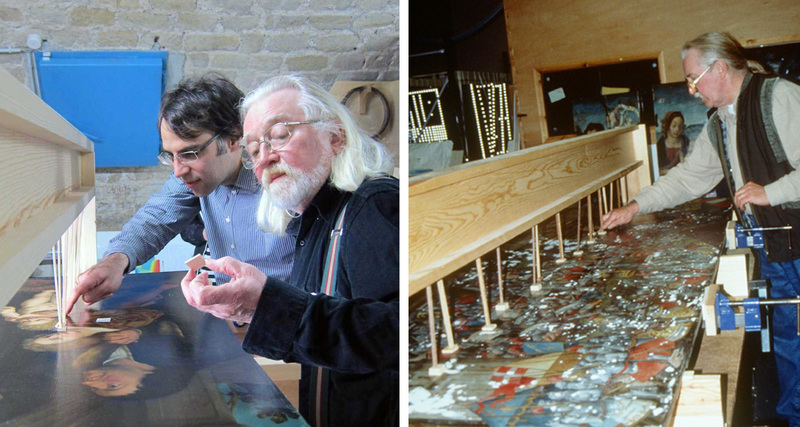 Right: Castelli in 1966 at the Lemon House of the Boboli Gardens (where Florence’s flooded paintings were brought in 1966), screwing tiles to keep the joints between the boards and then to remove the crosspieces of Last Supper. The conservators, after all, care deeply about their legacy of cultural protection. The Getty Foundation is grateful for everything these experts have done to prepare the field’s guardians of the future. 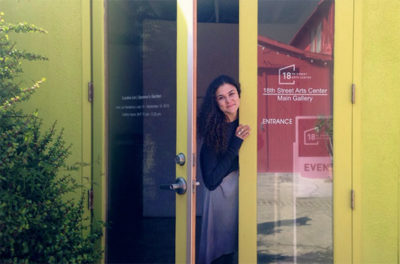 I am communications specialist at the Getty Foundation, sharing stories and insights from our grantmaking work in art history, scholarship, conservation, and leadership development. Thank you so much for your care and dedication. Hope you give the same attention to furnitures. 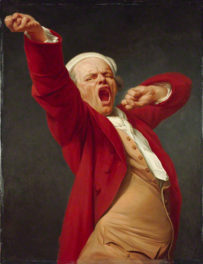 Question of the Week: Does Art Have to Be Serious?